A domain name simply gives your business idea a direction or you can say a domain name is a name that is used to refer to your business. Anybody can have their own domain name i.e from individual to company or organization. There are some good reasons for having a domain name. If you have a business or organization, a domain name gives you credibility. More people will be interested to do business with a company that has its own domain name. If you have opted for a nice domain name registration, India that describes your company’s name, business or product, people can easily remember the name and can visit your site in future. A good domain name can able to bring sponsors/advertisers for your website. It gives your site an extra reputability. 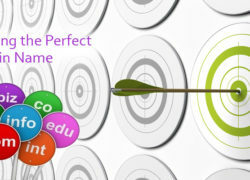 Before hiring a website designing agency its important to get a domain name name as per your choice. You have to register that name with an organization called ICANN through a domain name register. For example, if you choose a name like «xyz.com», you will have to go to a register, pay a registration fee that costs around US$10 to US$35 for that name. That will give you the right to the name for a year, and you will have to renew it annually for the same amount per annum. It is good to domain register the name directly with a domain name register rather than through web host. There is a chance that some web hosts registered the domain under their own name, making them as the owner of the domain rather than you. 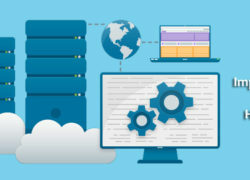 If someone else places himself as the owner (such as your web host), he may charge you more fee for the use of the name later. Registering direct with a domain name register allows you to make sure that you are registered as the owner, the administrative and technical contacts. It’s true that day by day good domain names are disappearing very fast. Good domain names are gone but suggest you to act now and register your name as soon as possible. After all, US$10 (more or less) is not a big deal for a year’s ownership on your website name. It is good to think a few good domain names rather than a single name because it might already be taken. How should your domain name be? Long domain names are clumsy and may be difficult to remember. So avoid using of long domain names. Try to shorten your long company name to something that can be identified easily and should not lose your identity. It should also be clear and natural. For example, if your business name is “XYZ Events Management”, instead of the long “xyzeventsmanagement.com”, your domain name could be “xyzevents.com” or “xyzeventsmgt.com”. Avoid ad-like domain names. They could be unnecessarily long, boring and unprofessional. 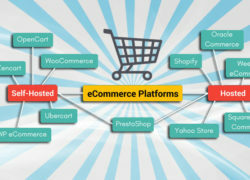 Some examples of such domain names include thesoftwarewiz.com or yourtechguy.com. Don’t use symbols in your business domain name. You may try “xyzmovers.com” instead of “xyz-movers.com”. The .com extension is best for any business. The .net generally tends to online community while the .org showcases you as a non-profit organization. They offer .com, .us, .biz, .info, .net, .org, .ws, .name, .tv, .co.uk, .me.uk and .org.uk, etc.